This is THE course for taiko fundamentals; perfect for new taiko students or as a refresher on the basics! Practice stance and strike while learning critical drills and rhythms. 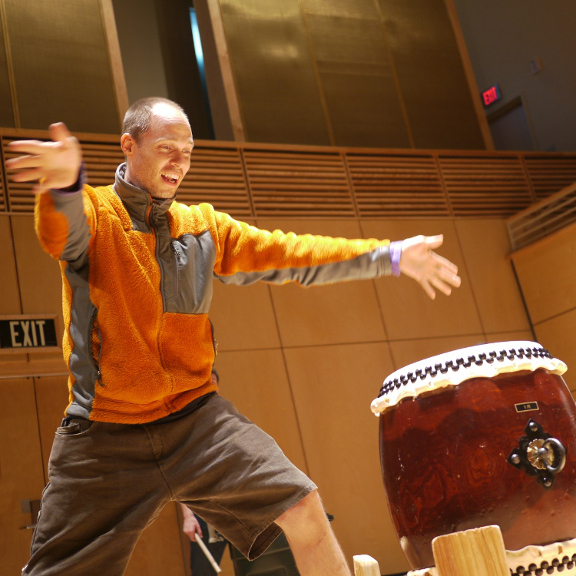 Practice the "kuchishoga" rhythm-teaching system, learn the flexible "oroshi" rhythm, and play exactly together with other players. Optional participation in Oct 9 Taiko at CicLAvia!